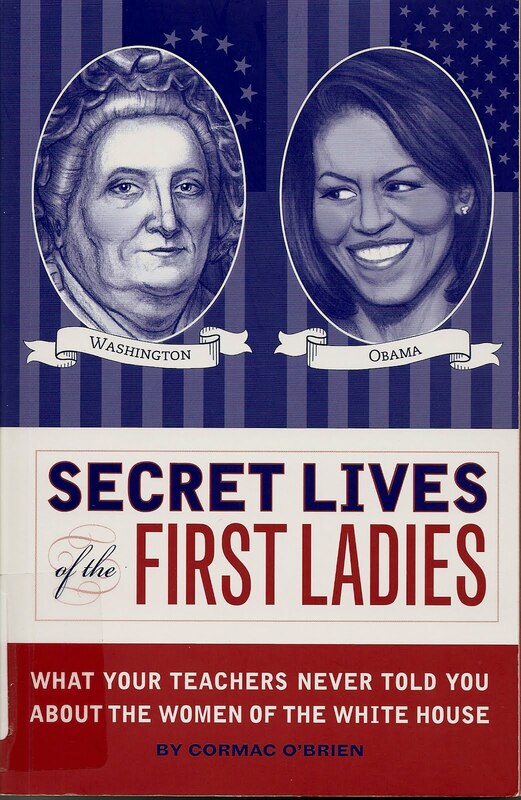 A very unusual collection of stories about the First Ladies, told in chronological order, this book is a terrific insight into the history that we never learned in school. The job of being First Lady is an arduous task, and at times, thankless. But at other times it can be a most rewarding position that allows some input into the affairs, and history, of our country. 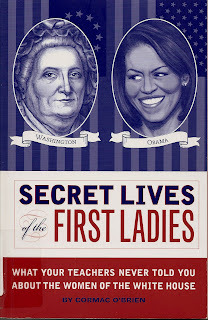 Beginning with Martha Washington, who, as the first "First Lady", set the tone for all of the First Ladies to come, this book makes you realize that the story of the "Father of Our Country", without any mention of Martha,is one that is only half told. And that truth is evident throughout this book. Originally Martha Washington was referred to as "Lady" Washington, a title that would define all the First Ladies until Dolley Madison, who had held sway over Washington during the Presidency of not only her own husband, James Madison, but also that of Thomas Jefferson as well. (He was widowed.) When she passed away in 1849 she was lauded as the nation's "First" Lady, and that designation became the basis for today's title. And so it goes with the rest of this book, all the way through to Michelle Obama. These women were really quite remarkable, especially the earlier First Ladies, who often lacked the formal education and schooling of their husbands. Each woman who has occupied the position has contributed something admirable, or noteworthy, to our collective history. And so often, these contributions have been overlooked. Our earliest President's had some of the most interesting wives, women who were sometimes raised on the frontier, as well as women who were the product of great wealth. The author does a credible job at both enlightening the reader on the accomplishments, as well as the eccentricties, of this select group. Of course the book is filled with all kinds of trivia, which makes it all a bit more fun, but the real story is the role that these women have played in shaping this slightly crazy and unique country that we call home.